A six-match unbeaten run in all competitions that brought two awards to Black Leopards ended Sunday when they crashed 3-0 at Bloemfontein Celtic in the South African Premiership. Leopards from remote northeastern town Thohoyandou allowed Zimbabwean Ronald Pfumbidzai to score a soft goal after just seven minutes at Petrus Molemela Stadium. The visitors' hopes of equalising were dealt a severe blow with 18 minutes remaining when right-back Khuliso Mudau was sent off after being yellow-carded a second time. Winning lifted the club from central South Africa three places to fifth, nine points behind leaders Bidvest Wits with 11 rounds left. Leopards remained 12th, only four points above the relegation zone in the richest African national league with a 30 million rand ($2.25 mn/1.96 mn euro) prize fund. 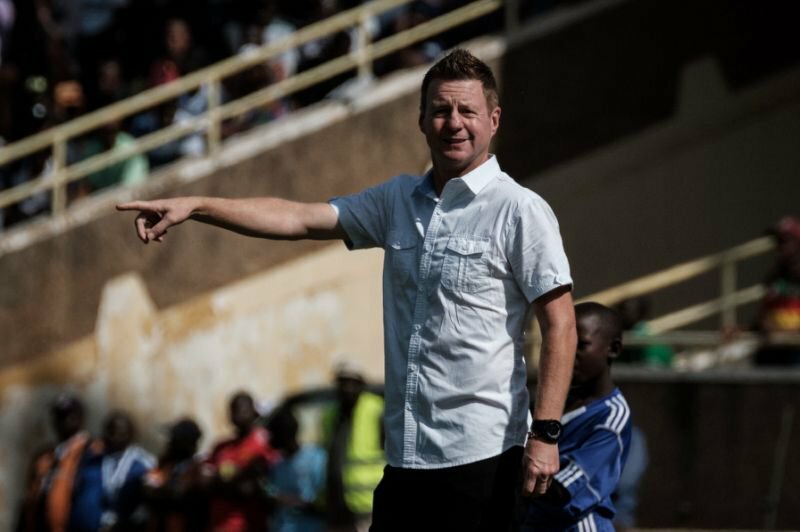 The heavy loss for Leopards came after Malta-born Dylan Kerr was voted coach of the month and Zambian striker Mwape Musonda took the player of the month award. "We played as if it was our last match of the season and we had no relegation worries," admitted a frustrated Kerr, who joined Leopards in mid-season from Kenyan club Gor Mahia. "Had it not been for our goalkeeper (King Ndlovu), we could have been trailing by three goals at half-time. "When we did create chances, our decision making around the penalty area was very, very poor. Terrible, in fact. "Winning those awards may have distracted the squad and led three or four players to believe they are superstars. They know better now. "I keep telling them to keep their feet on the floor, their heads down and work endlessly. Following that recipe will ensure we avoid relegation." Baroka and Chippa United, two of the bottom four clubs, drew 1-1 in northern city Polokwane with both goals coming in a 60-second second-half burst at Peter Mokaba Stadium. Matome Mabeba put League Cup trophy-holders Baroka ahead on 70 minutes only for Bonginkosi Makume to concede an own-goal almost immediately.